Exactly two weeks ago I thought I was exhausted from preparing for job interviews (I will write a separate post explaining my study strategy). After all, I have been averaging 6-8 hours of algorithms and Java study almost every day for 2 months (I am switching careers and going full-time in software engineering). In reality, it was a virus that caused physical break-down, an eye infection and fever. In what can be described as the most spontaneous decision of my life I decided we need to take a short break and go to the sea. How spontaneous? I felt debilitating headache Monday morning and we flew out on Wednesday. So we chose a destination we could fly to ASAP that had decent weather and warm sea. In the end we went to Crete. I had previously visited Crete 10 years ago. 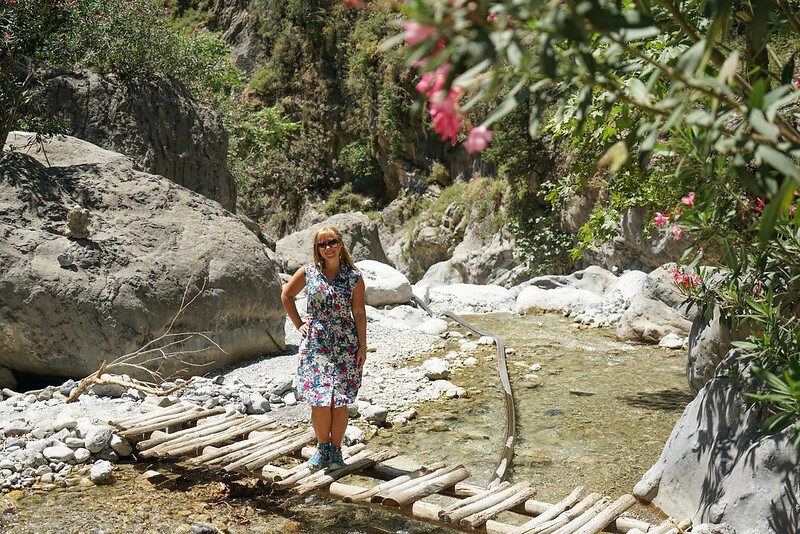 Crete left an impression not only with the warm Mediterranean climate and usual resort-world bells and whistles but also with a natural wonder I couldn’t visit at the time. 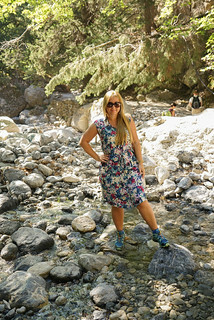 I’m talking about Samaria Gorge. It was time to finally hike it. 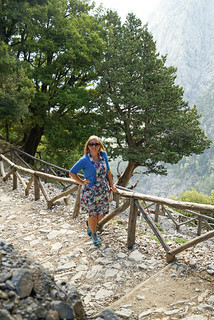 I am amazed at how the local businesses managed to market and sell Samaria Gorge and lull even the most unprepared unfit tourists, making it a must-visit attraction. 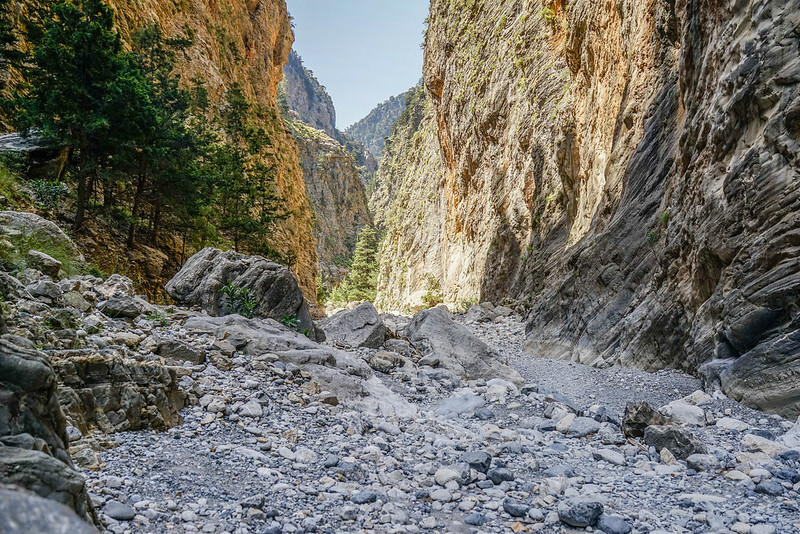 In the high season, which unsurprisingly is the worst time of the year to visit it, Samaria Gorge attracts 30,000-40,000 tourists per month. Some of those tourists later write horror stories as to how difficult and extreme the whole experience was. Legends get born and rumors get spread. I’m here to bust some myths. First of all, it is not the largest Gorge in Europe. Verdon Gorge is. Second, it is not an extremely difficult adventure. It’s best described as a hike of medium-easy difficulty. Most of the time the route descends which is admittedly not my favorite (I prefer ascents or mixed terrain). While the terrain is rocky there is nothing extreme about it. In terms of gear the hike requires mostly decent shoes. I brought the most minimal and lightweight shoes I own and they were just fine. Apparently the overly successful marketing attracts unsuspecting couch potatoes in flip-flops but I haven’t spotted a single person whose clothing stood out as outlandlishly inadequate. Without any strain we completed the walk in 5:45. We took lots of pictures and made one stop for packed breakfast in the old Samaria village which is in the middle of the route. My watch counted 20Km but I suspect that’s due to errors due to poor sky visibility in the gorge. Officially, the total distance from the park entrance to the beach is approximately 17Km. Sounds realistic. End of May is a fantastic time to visit it because the gorge is full of life: vegetation and flowers. Most importantly, it is not scorching hot. I find that the scenery becomes interesting after the Samaria village, roughly 8-10Km into the hike. The first half is similar to a walk in a park and it’s not possible to see much of the gorge. But the actual gorge looks breathtaking. 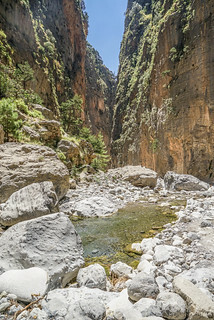 In fact, I would consider visiting the park in the opposite direction: arriving by ship at the end of the route in the morning, exploring the gorge area up to the Samaria village and taking the ship back. It’s possible to pull this off with a rental car by keeping it in the town from where the ship departs. Speaking of transportation it’s not great. There are only 3 ships per day: 2 in the morning and only one in the afternoon at 17:30. Those who finish reasonably at about 14:00-15:00 are doomed to stay in the area. Admittedly, the area ain’t bad and the beach is completely worth a visit. In case somebody doesn’t make it to the ship there are plenty of rooms available for rent. We chose to get to the park and back by taxi. The price is not unreasonable if staying near city of Chania. For us, the higher taxi price was worth extra hours in the morning and in the evening. A tourist bus takes longer because it needs to pick-up tourists from various hotels. 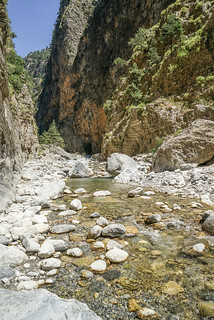 If you’re visiting Crete pack a pair of shoes – the gorge is worth a visit!